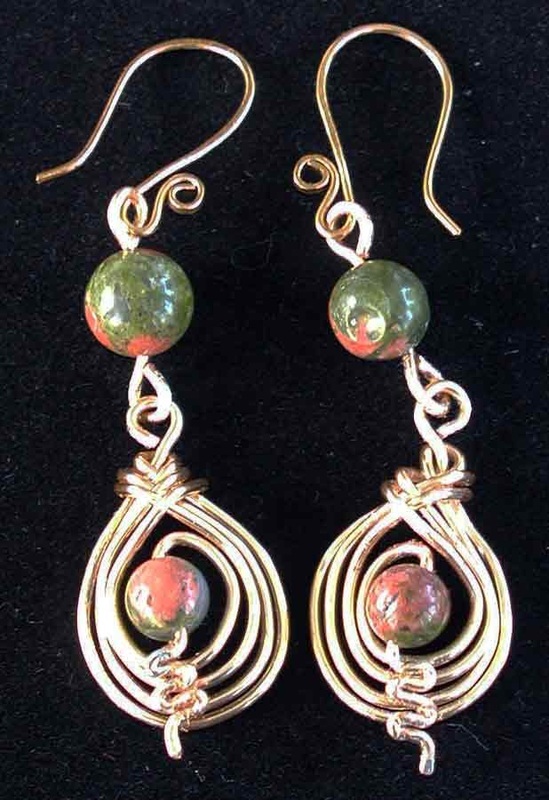 Genuine Unakite Semi-precious Stone and Copper coated aluminum wire. 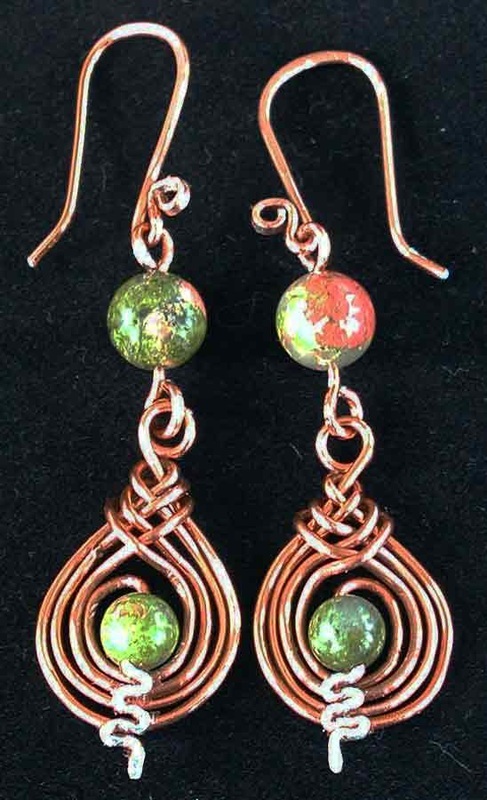 Hand made ear wires with lovely, lilting spiral ends. Faceted garnet colored glass beads. 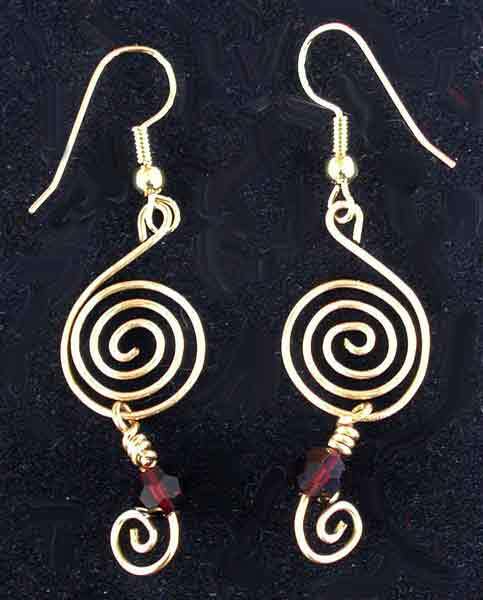 Gold colored wire wrapped.